i always like to think that you can tell the quality of a restaurant in the quality of the butter they give you before you get your meal. more often than not, i’ve experienced that when the butter is good, the meal is superb. 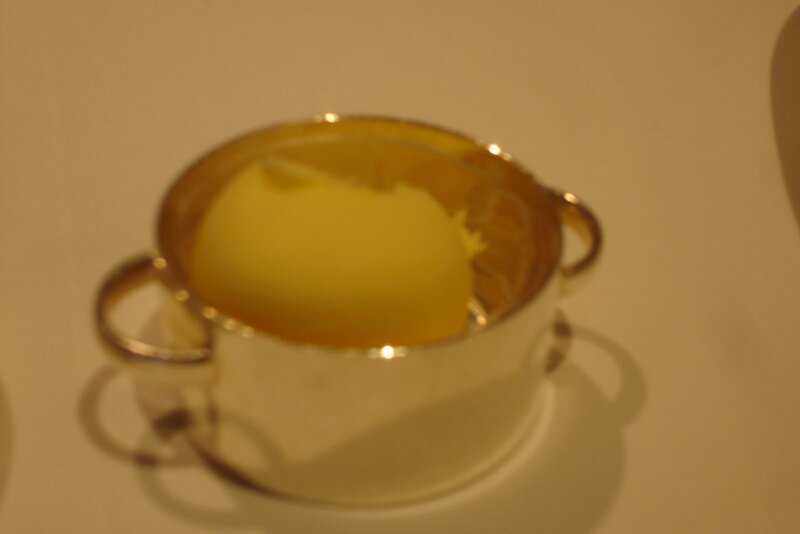 i’m talking about cold butter, slightly salted, hard and creamy- it is a subtlety that is an artform, the perfection of butter churning (the butter at French Laundry, above, was dreamy- they came in these darling golden ramekins. the butter however, was the highpoint of the meal, but more on that some other time). i’m drooling just thinking about it. and this isn’t something you really think about, until you get BAD butter with your bread. when Lauren and i went to dinner at AOC Bedford in the West Village last night, the butter was super soft and greasy and just all wrong. the meal, case in point, was also disappointing. so it turns out that i am a terse critic when it comes to butter. 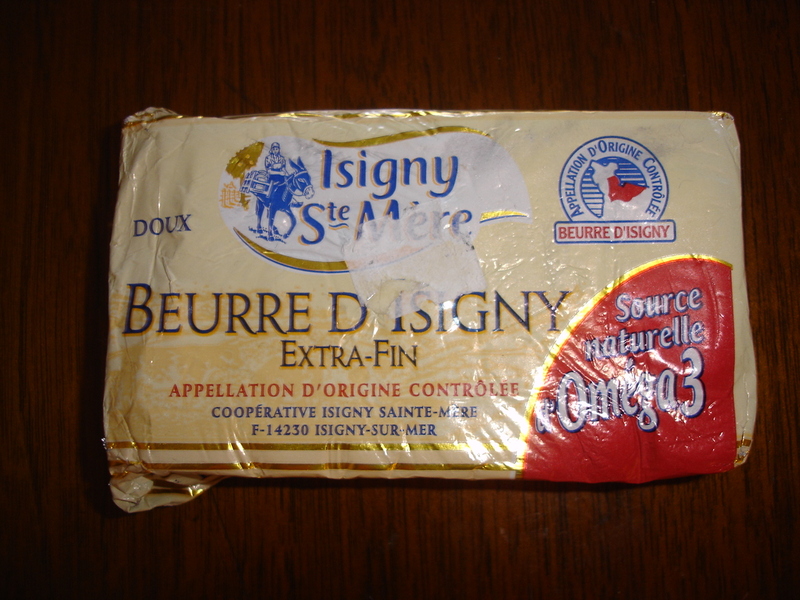 which brings me to the french butter, Isigny Ste. Mere (pictured), i bought last week in the cheese section at Whole Foods for only $2.99! i’m no francophile, and i was really wanting the butter from italy, but it was a bit over my budget at $4.99 (and that’s the average price!). and i was a bit skeptical at how cheap this stuff was, but i am a frugal gourmand and my friend Fumiko, who spent some time in Paris, reassured me that “it’s french, it can’t be that bad.” and it isn’t! this stuff is great! for the price, i highly recommend it. You are currently browsing the archives for the Butter category.